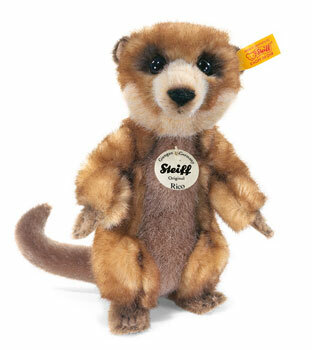 Steiff Rico Meerkat Discounts Apply ! Made of cuddly soft woven fur in shades of brown and dark areas . He�s designed to stand up as he would on the praire or fields as his tail balances him. This bear is part of Steiff's 2010 Exclusive range.